Constructed from two types of Schoeller® Swiss elastic fabrics. Treated with Colblack® finish to keep cool even when exposed under direct sunlight. Both fabrics are very densely knitted in order to increase resistance to abrasion. On top of that, a ceramic coating is applied in specifically selected panels to enhance protection in case of hitting the tarmac. 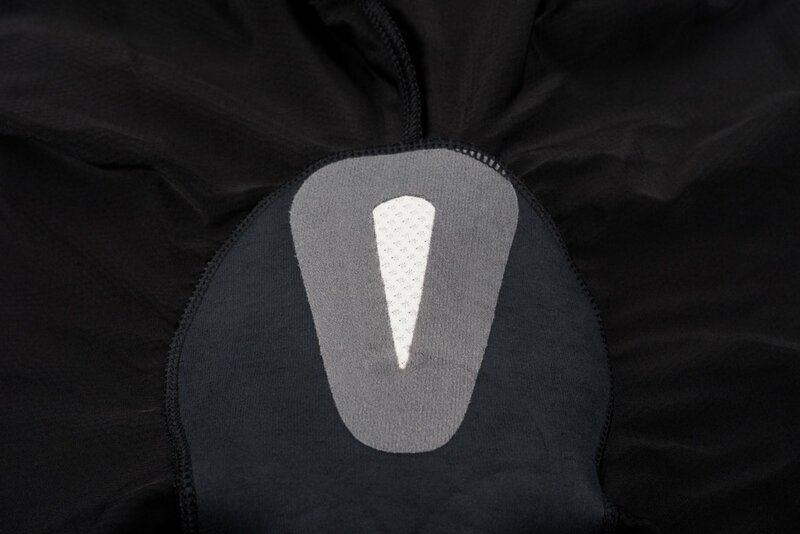 The compression and comfort of the bibs are balanced for maximum performance without causing pressure points or discomfort. Italian made chamois is thick in all the right places. 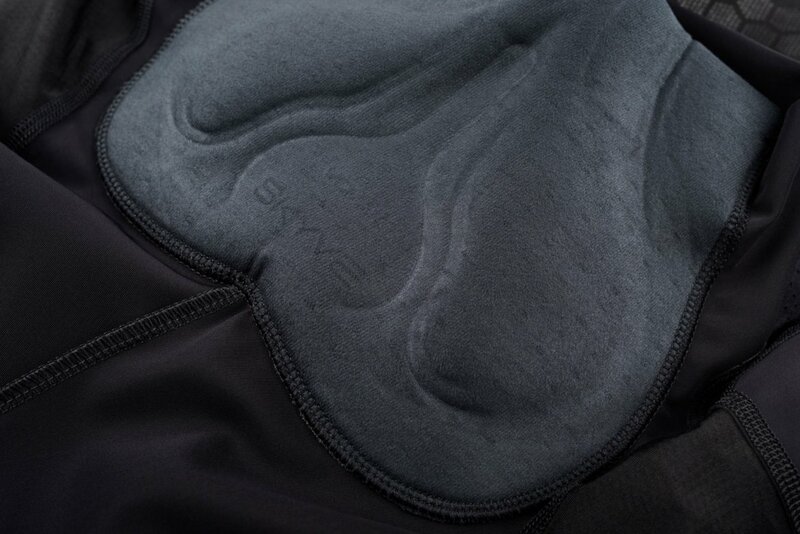 Besides its exceptional breathability thanks to state of the art combination of Airmesh filling and carbon yarns added to its backing, the chamois features ventilation area at the front. Extra storage compartments on the back side of the suspenders. Wide tape on the bottom with right amount of hypoallergenic silicone to keep the bib short in the right place without needing to readjust. In addition to the new Utility Jersey, we have developed our Utility shorts which we have designed to be tough enough and comfortable enough to carry you through the longest, hardest rides. 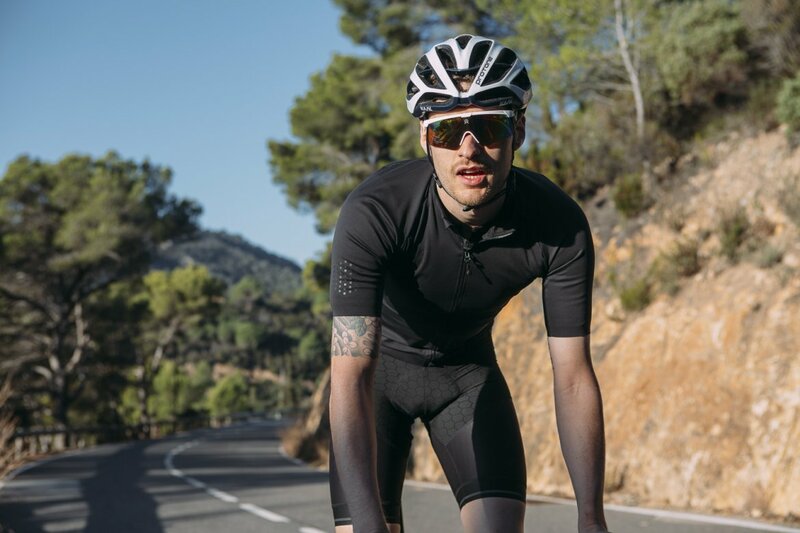 Offering the perfect amount of compression to mix performance and comfort, and treated to repel water and grit, these are bibs that will protect you through unpredictable spring and summer riding conditions. I am writing a second review about this amazing bib short, The DWR coating is brilliant. Chamois is truly class apart. During my recent trip in Himalaya mountain after couple of washes in span of 9 day. The large reflective at back are great however I noticed the reflective strip faded on elastic i.e on lower hem. Overall this is a fantastic bib short. Hands down the best bibs I've ever had. By far. Yes, they are expensive but the comfort and the feeling during longer rides in unparalleled to anything I've worn before. They work great with my Tune Speedneedle seat (which has no padding). If you want that extra spoiling piece in your quiver, go and justify the purchase, you will not regret it. I bought these after being pleased with the quality of Isadore’s Climbers Bibs. 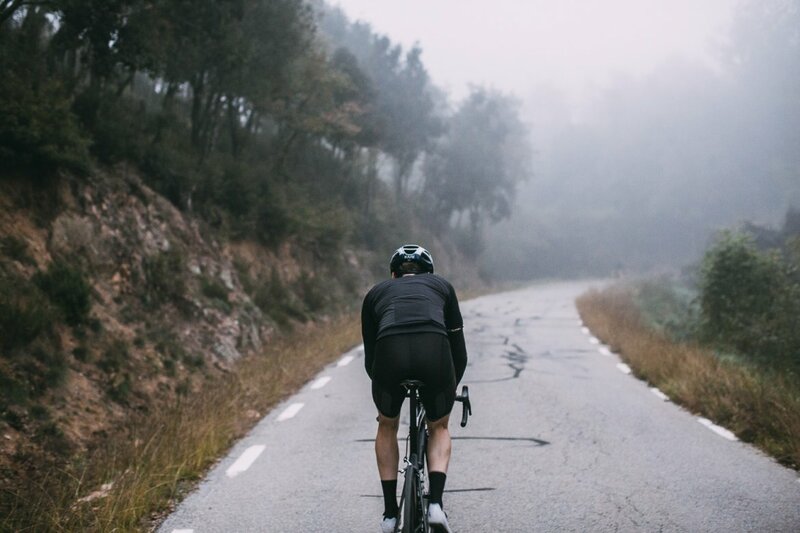 These have a different feel and are made for cooler and wetter weather, as the materials are more robust and are treated to resist water and the chamois is more substantial–not unexpected for bibshorts designed for endurance riding. They are not too heavy for mid-summer riding, but will be perfect for spring and autumn. I don’t notice the seams, suspenders or leg grippers while riding, which is a plus. A small complaint is the reflective leg grippers, which aren’t aligned exactly and look vulnerable to coming undone. But giving 5 stars until that happens. As testament to the comfort, I purposely used these bibs while breaking in a new Brooks saddle and have experienced no discomfort during the process. Another quality product I intend to use during brevet season. Size L fits my 5'-9" frame and 33" waist. I have grown to like the cut of Isadore’s bibs, as the long legs protect from the sun. Best bib shorts till date. 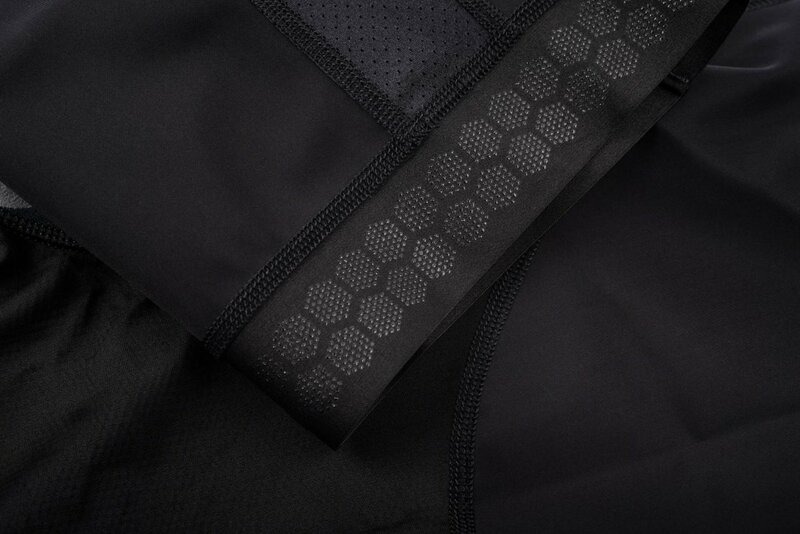 The utility bib short has raised the benchmark. 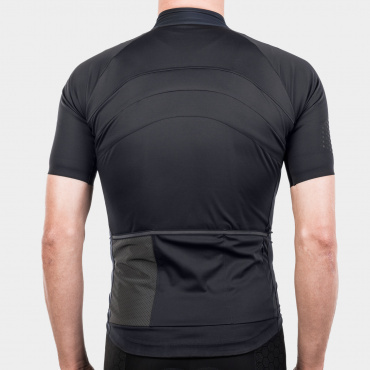 Amazing fabric - feel and quality, smart pocket on back, extremely comfortable chamois and reflective strips on right places for safety. Brilliant. Die UtilityBib ist meine 2 Isadore Bib neben der Thermo Roubaix. Ist eine perfekte Hose, toller Schnitt, wertige Materialien, Super Polster, gute Länge. Trage bei 186cm und 93kg L. Passt perfekt. Einziger winziger Kritikpunkt ist, dass man am Rücken die Tasche (Näht) minmimal spürt. Ist aber kein Problem. 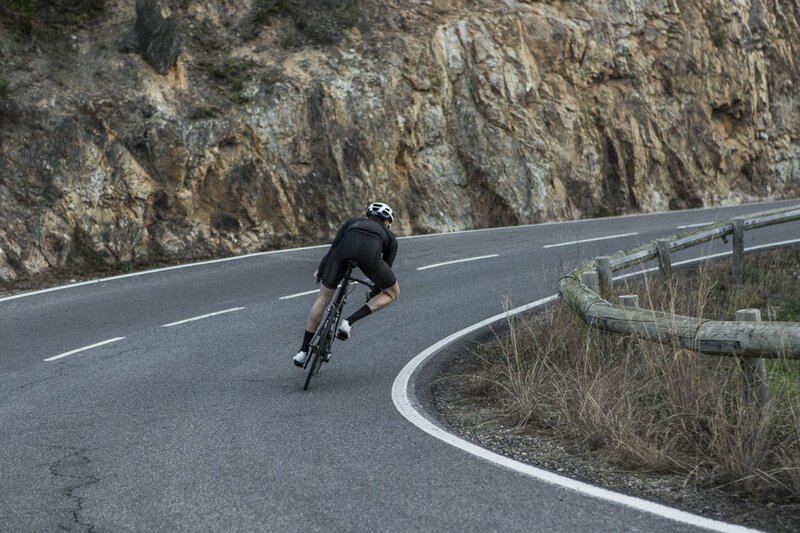 Happy with quality and design of shorts (outer fabric/chamois). Extremely water repellent. Had some great >7h rides in Eastern Europe, France and Switzerland in summer, also with heavy rain showers. Size S fits perfect ectly for me, 175cm/63kg. I just received my second pair of the Utility Bib Shorts. I was really pleased with my first pair. The fit was perfect and they were very comfortable. Unfortunately, after the first time being laundered, I noticed that the chamois pad was coming un-sewn. It appears that the threads on the outside of the bib became loose and caused the threads inside to loosen. I'm not certain, but suspect the embroidery on my Ritchey saddle may be the culprit. Isadore replaced the bibs promptly and I have yet to wear the new ones. 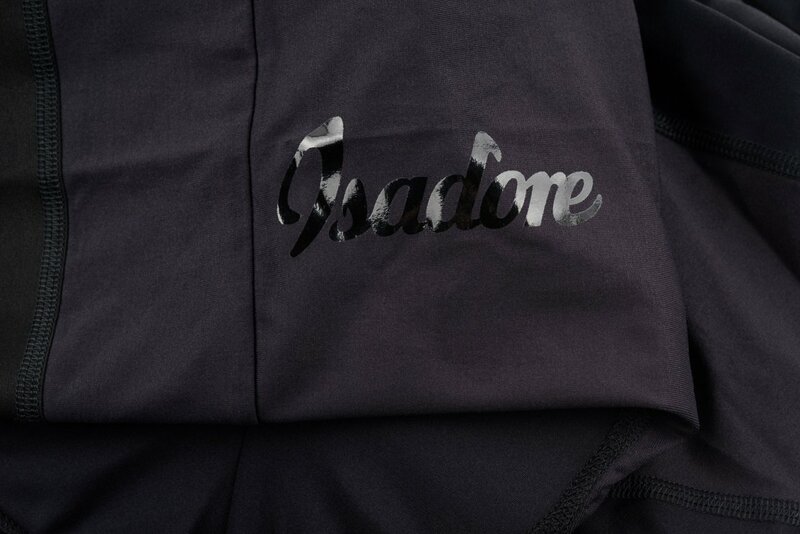 One other item to note is the difference in the appearance of the Utility shorts in the photos on the Isadore web store compared to the shorts I received. The shorts in the photos appear to have an integrated base layer top with the shorts. The shorts that I have received have the more traditional looking bib straps with a mesh fabric between the straps on the back. Not great for the price. Not a huge fan of these to be honest. The chamois is really good but the feel of the material is very "plastic" like and doesn't hug the body like high end paneled bibs. They tend to bunch around the groin/leg area and don't "fit" well at all. I'm 85kg, 6ft tall and have the large. Size is correct but VERY long in the leg with the ends being a bit loose. Unlike every other piece of Isadore kit, I wouldn't buy these again and much prefer my Assos, Giordana and Rapha knicks over these.